We’ve had 2-3 weeks of glorious weather here in Dublin. People seemed stunned. A few people even started complaining that it had been 75 degrees for too long. Too hot, some said. And truly, we did have a day of high humidity — almost unknown in this fair city. The past few days ushered in a return of regular irish weather. In Ireland, experiencing “all four seasons in one day” isn’t unusual. Above, I’ve uploaded some photos from my stint across town and back today. The photo below was taken from my seat atop a double-decker bus. 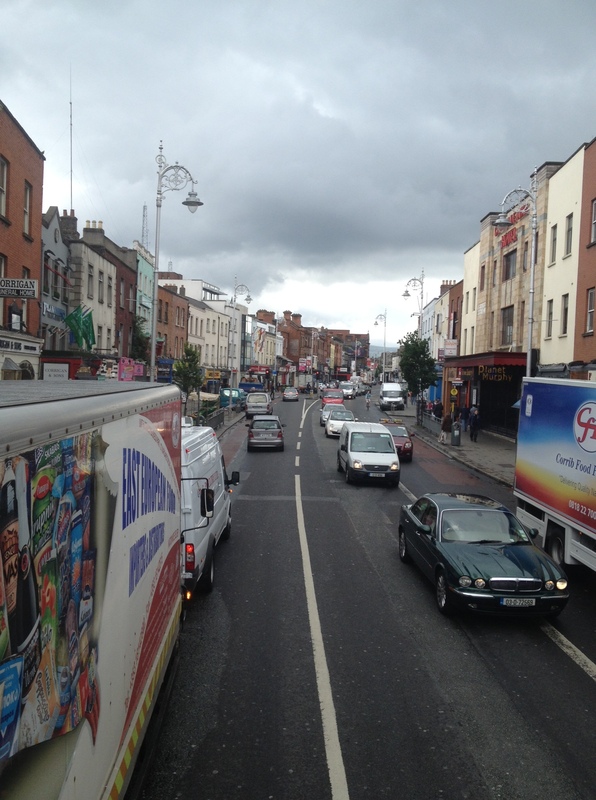 It offers a glimpse of Dublin city traffic… and shows you why I don’t bike here more often! Yes, we ARE passing that truck!